with targeted emails and newsletters. 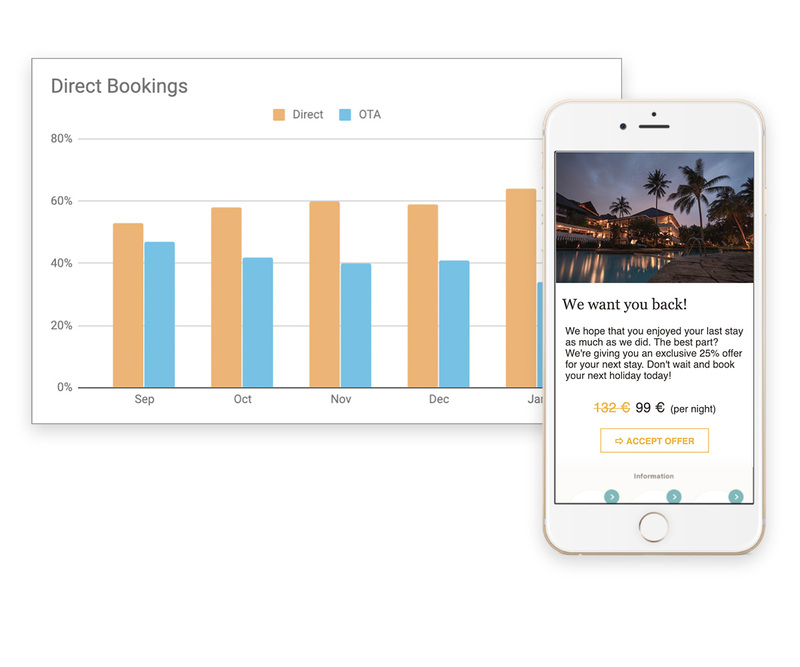 By knowing your guests' preferences and tempting them with captivating newsletters & targeted campaigns you are on the right track to boost both direct bookings and earnings. Our newsletters are not only perfectly adapted to your hotel’s brand but also extremely easy to put together. With a simple drag-and-drop interface you build your own flexible content in short time. Customise target groups to optimise conversion rate. We help you build newsletters that are extremely relevant for each one of your guests. Group your recipients based on feedback from earlier visits or target group preferences to make sure the right newsletter ends up in the right inbox. Increase direct bookings and upselling revenue. The better you know & listen to your guests, the better the impact of a newsletter or a campaign. 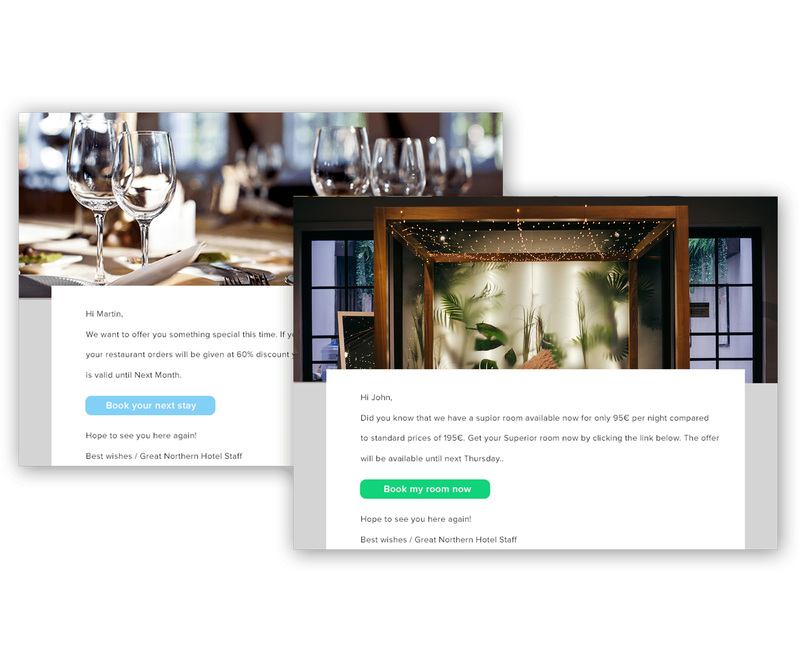 With Loopon you are equipped with guest information from the entire guest journey as you prepare for newsletters and targeted campaigns with optimal click-through and high conversion rate as your goal. Increase direct bookings and achieve more revenue and a higher percentage of returning guests. The modern traveller defies spam and expects a customised experience based on her own preferences. 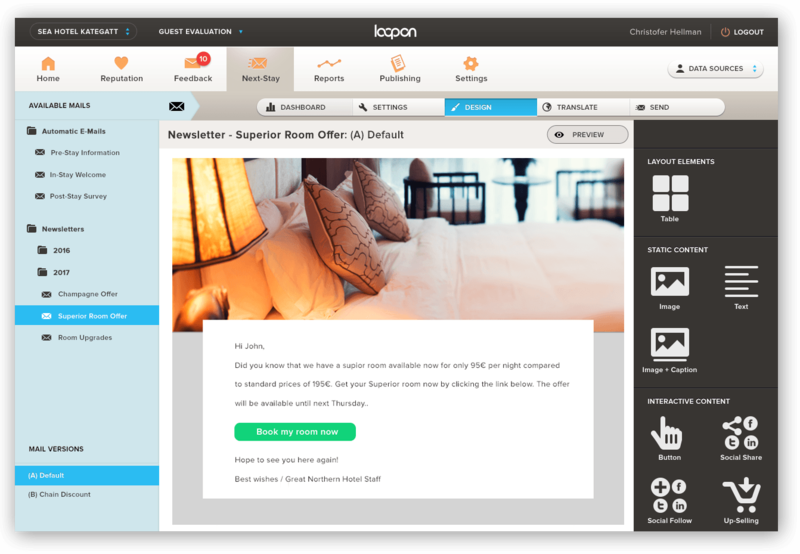 Loopon's Next-Stay emails will help your hotel with achieving just that. Next-stay is the fourth and final part of the Guest Journey. It includes the phase after in which the guest has provided feedback on their last stay and the hotel is trying to get the guest to complete their next booking and become a returning customer. 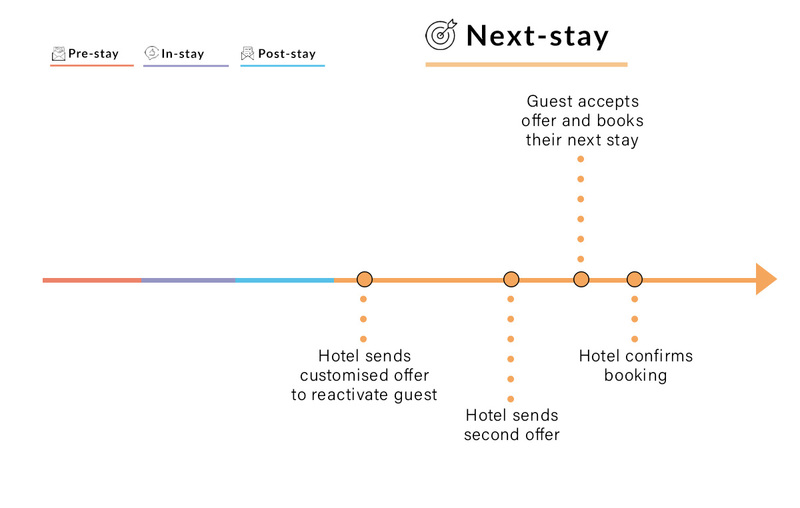 The hotel can target the guest with smart campaigns and customised offers to convert a one-time guest into a returning customer.